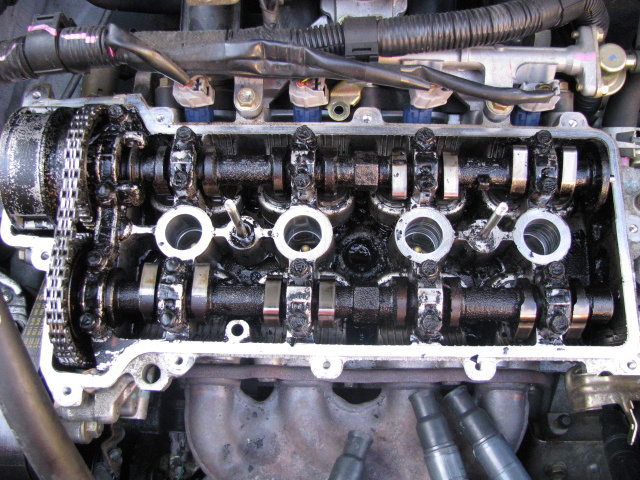 Totalcar Magazine - Tech - Do infrequent oil changes kill the engine? Nowadays it’s becoming more common that oil change intervals for cars run up to 30 thousands kilometres. But will this lengthening of oil change periods destroy the engine in the long run? And if it does, why do the manufacturers keep on with the process? Not so long ago you should have changed the oil in your car at intervals of 7500 kms if you had a diesel and at 10,000 kms if you had a petrol engine in your vehicle. However, if we take a look at the cars of today we can see that there is nothing special about having a 30,000 km oil change interval, while a car with a service period of 15,000 kms seems a bit outdated. However there is another approach concerning the flexibility of oil change intervals. The more you push the pedal to the metal and the more you drive with a cold engine, the sooner the indicator will show that it's time for an oil change. While theoretically you can drive up to 40,000 kilometres without the oil being changed, in real life this period will hardly reach 20,000 kms. Why have the oil change periods extended so drastically recently? Should we thank the construction of the engines or the better quality oils being used? Just before going into technical details, however, we should warn you that the whole issue is a very good marketing tool, since long service intervals could be a catch phrase in any advertisement, as they mean a lower maintenance cost for the owners. When we are talking about the lubrication of the internal combustion engine we may list three mechanical elements which need lubrication. First we should mention the crankshaft, conrods and main bearings, second is the cylinders and cylinder walls, and the last is the timing mechanism with the gears and the camshafts. As mass production of multi valve engines started, cam timing became more demanding on the oil quality. Camshaft profiles became more radical, the lift and duration of the opening became longer, so the forces and the mechanical loads also increased dramatically. This is one of the reasons why today's engine oils require different additives than in the past. Although pistons are different as well and engines are revving higher, the lubrication of the cylinder wall and of the piston has not changed that much. Neither the oiling of the plain bearings in the crank case – it's still pretty simple and very much the same as in the old days. There is a widely accepted misbelieve that the higher the engine is revving, the better oil it needs. When plain bearings have hydrodynamic lubrication, the journal lifts up and floats on the oil film, and in that case you get almost the same load on the bearing and the crank journal. During the 90's I made a very detailed and long survey of engine oil degradation and oil change intervals in real engines. In this research I put almost 100 cars under scrutiny and I collected all kinds of data: mileage, habits of the owner – e. g. whether the car was used mainly on motorways or on country roads, in sporty style or in grandpa's style of changing gears at low revs all the time. After draining the oil I checked it by a clever small handheld tester called “Oilcheck”. This equipment measures the dielectric constant of the oil which is in close connection with the degradation of the oil. The dielectric constant has nothing to do with the specification or quality of the oil, but it is a good indicator of oil degradation in the engine. The higher the deposits and other dirt particles in the oil, the higher the dielectric constant of the oil will be. The outcome of the test was utterly surprising. 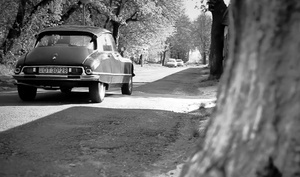 The cars which covered long distances in one go and with only one cold start had a reserve of 40% of their engine oil. The change period was at 10 thousands kilometres as suggested by the manufacturers. The cars which had been used for short distances with a lot of cold starts had only 5% reserve in the oil before due service time. The degradation of the engine oil was mainly of chemical nature, there was no physical deviation to be seen. Of course the colour of the oil became dark, there were some build-up of contamination, but the viscosity had not changed too much. This is easy to check just by pouring the oil through a calibrated orifice and measuring the time necessary for a given volume to flow through. The enemy of our engine oil is not mechanical load, nor shear and pressure, or high temperature. 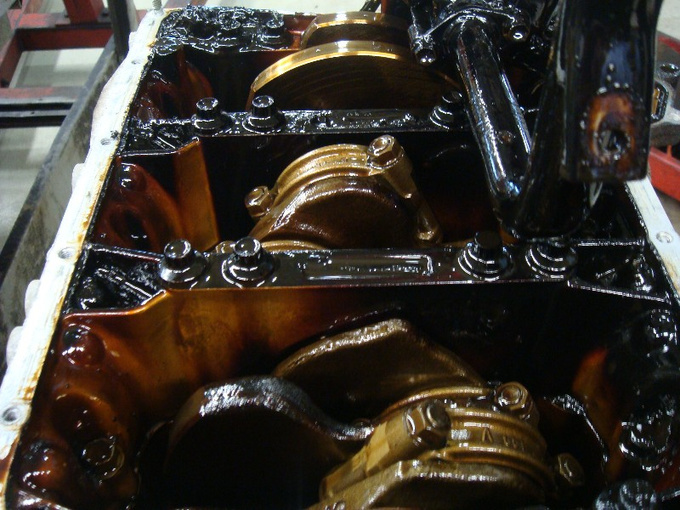 Most of the problems are caused by chemicals: the oil becomes more acid, sulphur builds up and causes chemical corrosion inside the crankcase and in the bearings as well. Special fuel systems, lean-burn technology, or modern additives in the fuel just make the oil ageing and oxidation quicker. To balance these circumstances, modern oils have special additives and the amount of additives they contain is definitely higher too. In some cases the base oil is almost the same as twenty years ago, but as a whole these lubricants still greatly differ from the lubricants of earlier ages. Also we have arrived into the fully synthetic era, when the base oil is just a chemical rather than the old snake oil. In cases of the most demanding usage synthetic oil is the one and only solution to offer long service intervals. We also often see that an oil manufacturer develops a special kind of oil, a special package of additives just for the sake of a special engine or a special car. However, this is not a completely new oil product using a completely new material other than the old synthetic or mineral oil, but a special package of additives developed for that special purpose.. These additives are the determining factors of oil quality, lubrication properties and also of oxidation and ageing of the engine oil. So they do influence the oil change intervals as well. Decades ago these additives were manufactured by numerous small chemical factories, nowadays these additives are developed by two big companies. This means that their quality could not differ that much. The ageing and degradation of the lubricants depends on these additives. Some of those car manufacturers who specify a long service interval give you the brand of oil you have to use. If you depart from their recommendation, long oil change intervals cannot be maintained without harmful side effects. 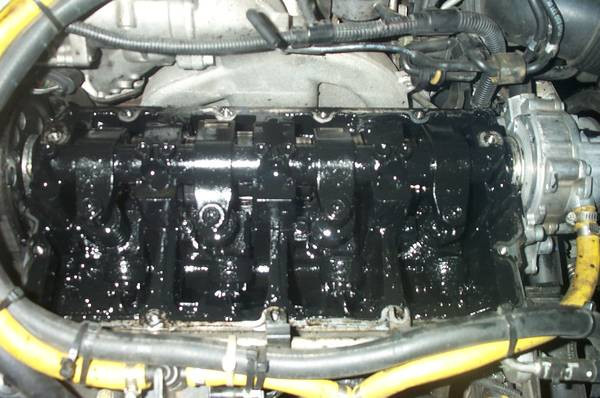 However, the construction of the engine, the oil circuit, the temperature of the oil, the quality of filtering and the remaining amount of oil after the oil change also play a considerable part in the process. After all said and done we can say that long oil change intervals can be sustained without damaging the engine if a few rules are kept in mind. One of the most important rules is oil quality: we should stick to the factory recommendation. Also, the vehicle should be operated in a normal manner as the constructors planned. The passenger car should be driven on normal roads, and we should keep away from racing. If we are planning to use the car for racing, then the oil should be changed accordingly, and, preferably, we should shorten oil change intervals as well. There is some reserve in the oil however, so the service period can be lengthened accordingly. If everything works in the optimal way, we will not use this reserve. In some cases, however, it's inevitable that we fall back on it: we fill up the car with bad fuel, race home from grandma on full throttle on the highway, use the car on short trips and so on. These are not the ideal ways to behave if we want to have a long service interval. 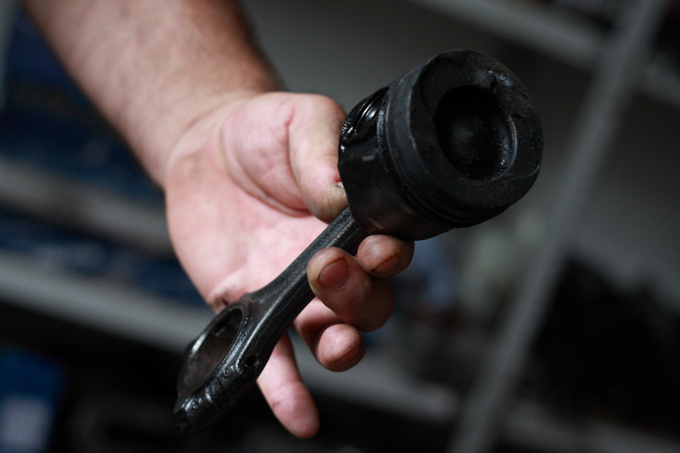 If you cannot stick to the straight and narrow, then you should shorten the oil change intervals as well. As the mileage gets higher, the amount of blow-by gases are increased in the crankcase as well. This means more carbon, dirt and other deposits in the oil, so it also means shorter oil change intervals. Chemical degradation is also getting faster – this is our public enemy No. 1. 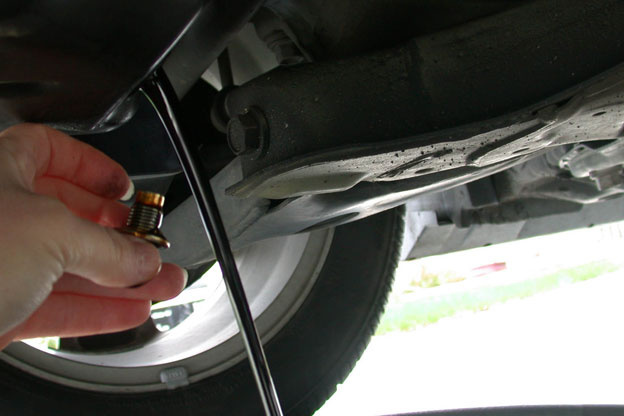 In these cases oil change intervals should be shortened by 10-20 percent. You will not find this recommendation in your car's users manual. Manufacturers prefer you to buy a new car instead.